What disasters can affect my home? No matter where you live, there are risks. Find out what you can do about it. 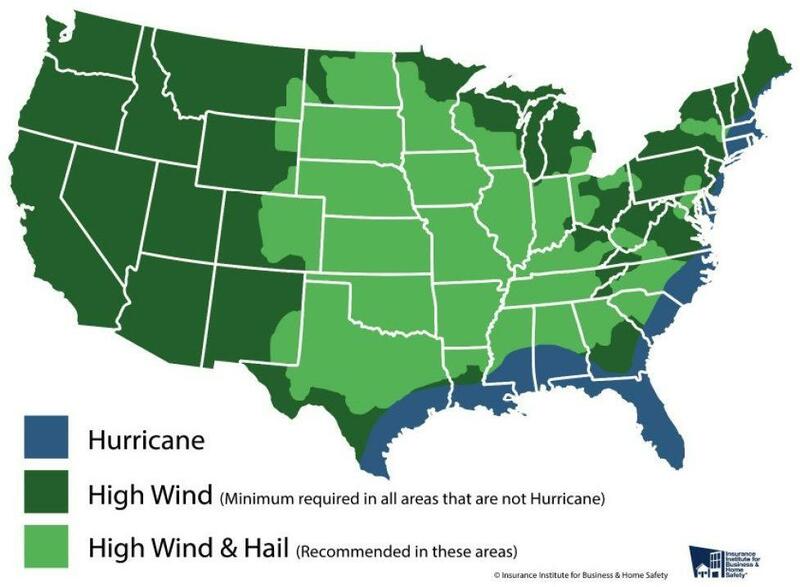 This map shows the general high wind and hail risks throughout the U.S.
Find out which risks you face by using the zip code search tool at disastersafety.org (at the bottom the linked page). FORTIFIED standards are designed based on the weather related risks in your area. Learn more about FORTIFIED Home standards. Everyone deserves a strong, safe home. We teach people how to build better, save money on insurance, and reduce recovery time after a disaster.